We have been exploring Liberty State Park throughout December to develop an appreciation and awareness of the natural beauty Jersey City has to offer. 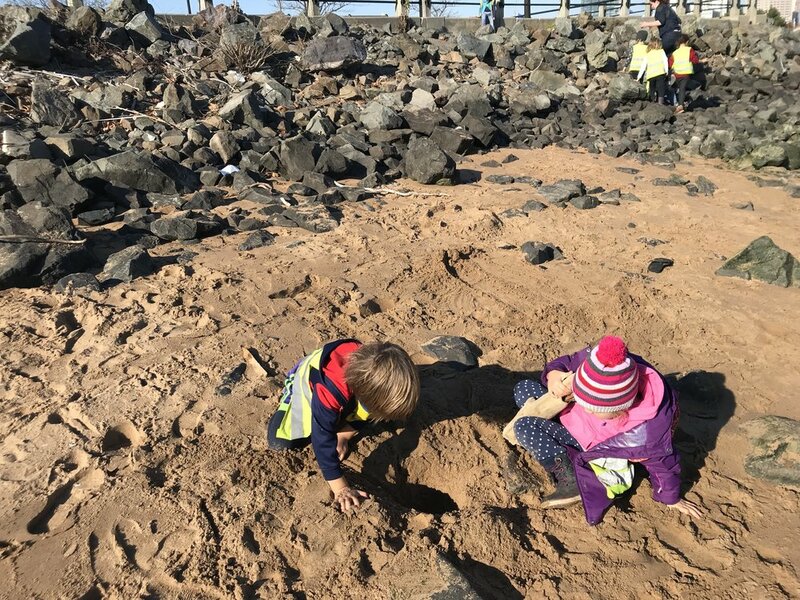 Within Liberty State park we have found meaningful spaces to climb, run, build, roll, dig, and play. 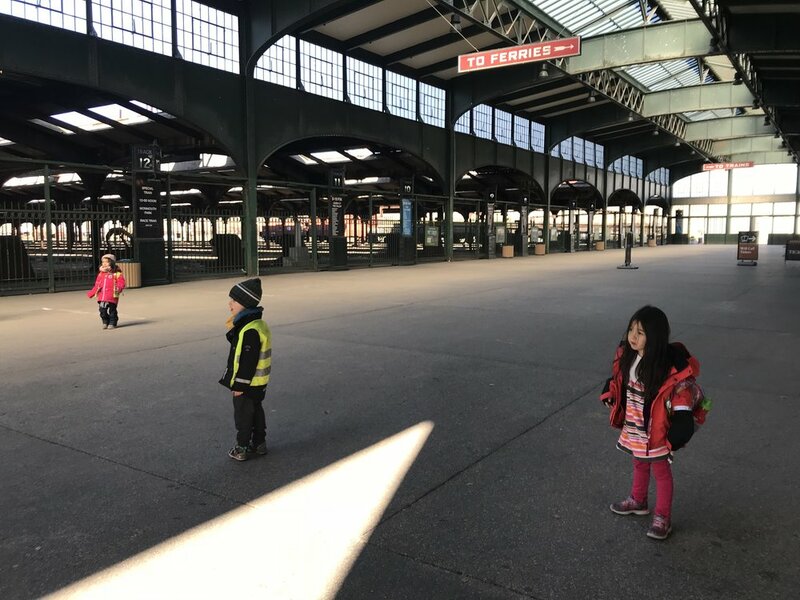 Some of the group’s favorite spots include the “train tracks” outside the Central Railroad of New Jersey Terminal. They can practice balancing on the preserved rail tracks, and get a closer look at something that is usually off limits to explore. 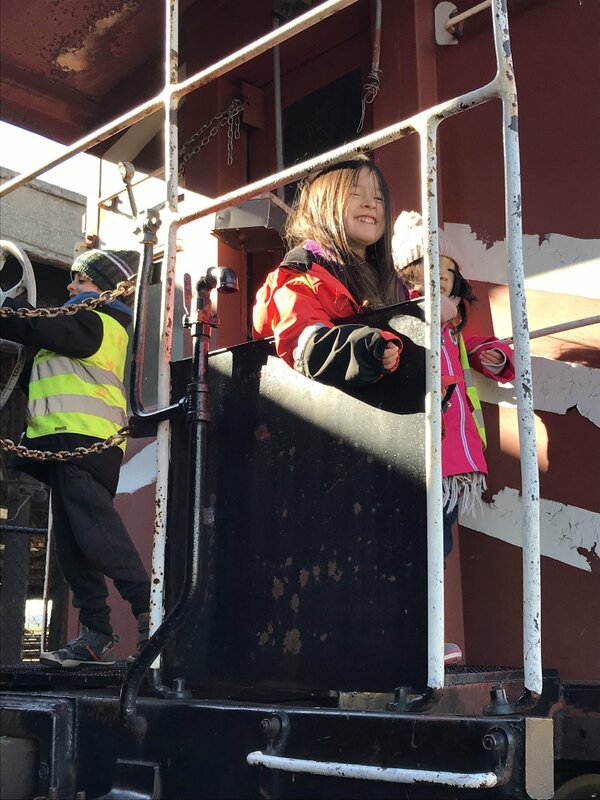 They also love climbing the train cars themselves; This space offers ample opportunity for imaginary play and outlets for big body expression. Children feel an extreme sense of pride when they are able to climb up the train independently, and are eager to help their friends up as well. We have also been taking the opportunity to develop our fire building skills! We have experimented with different fire starting strategies and materials. We began by gathering tinder, kindling and fuel found on the rocks and in tree floor. Dead twigs and leaves help us get the fire going and act as wonderful tinder. We looked for pieces as thick as a pencil and longer than our outstretched hand. Next we found small sticks no thicker than a thumb and as long as our forearms to use as kindling. We knew we had enough when we had a generous armload. For fuel, we salvaged large pieces of driftwood. We have discussed how to safely move around a fire, and how we can put a fire out before leaving. Building fires keeps us warm and can hold the attention of several children for a long period of time. Even after a month of exploration there is still so much left to see within Liberty State Park. This Thursday, Trollskogen will visit Ellis Island and the Statue of Liberty!